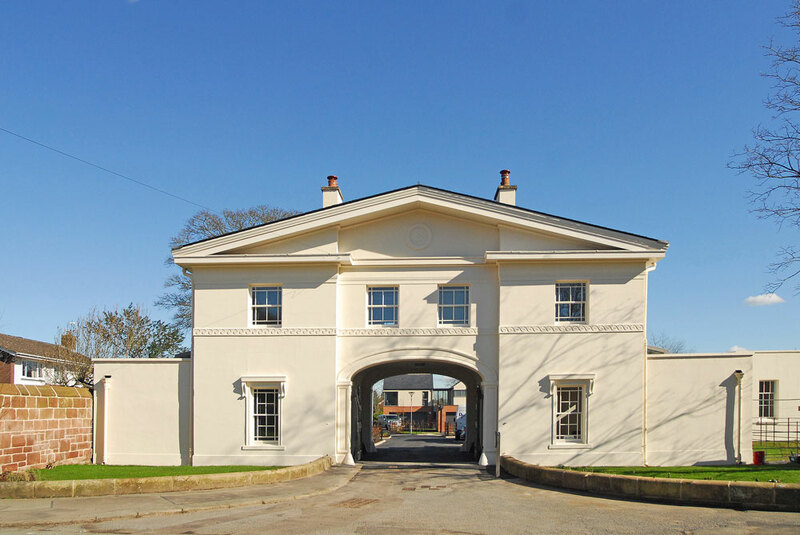 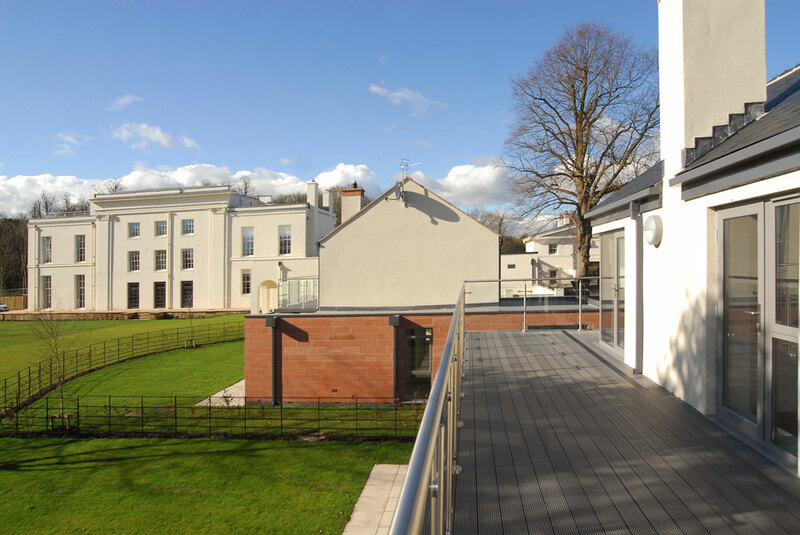 Owen Ellis Architects have completed the restoration of Greenbank Hall and Gatehouse on the outskirts of Chester. 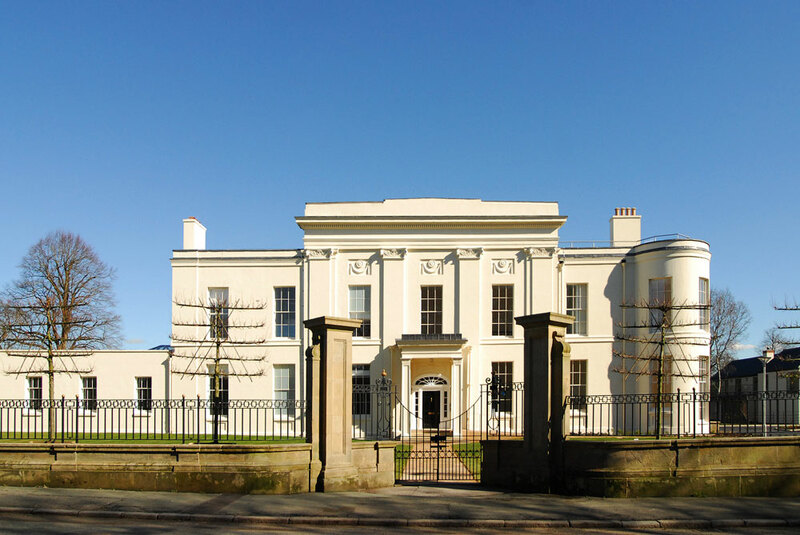 The house dates from 1820 and the gatehouse from 1920, both are Grade II listed and had fallen into disrepair since being vacated by West Cheshire College. 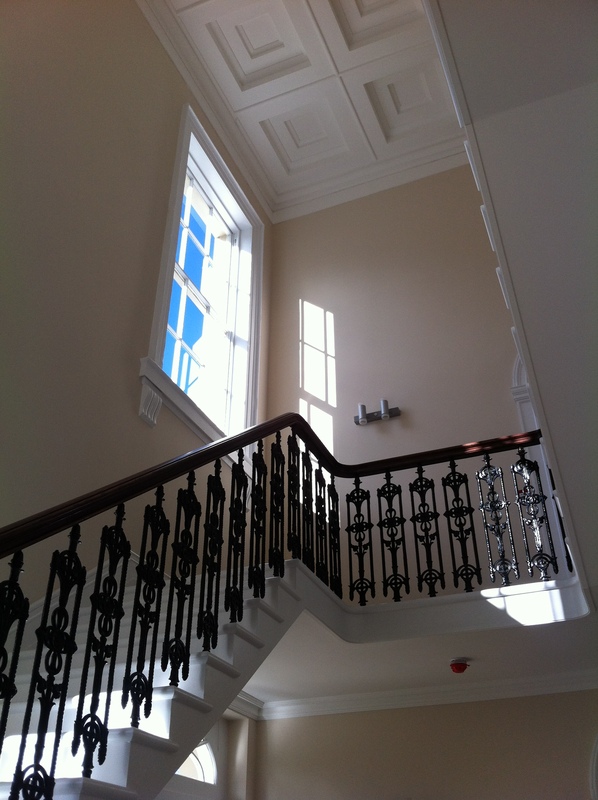 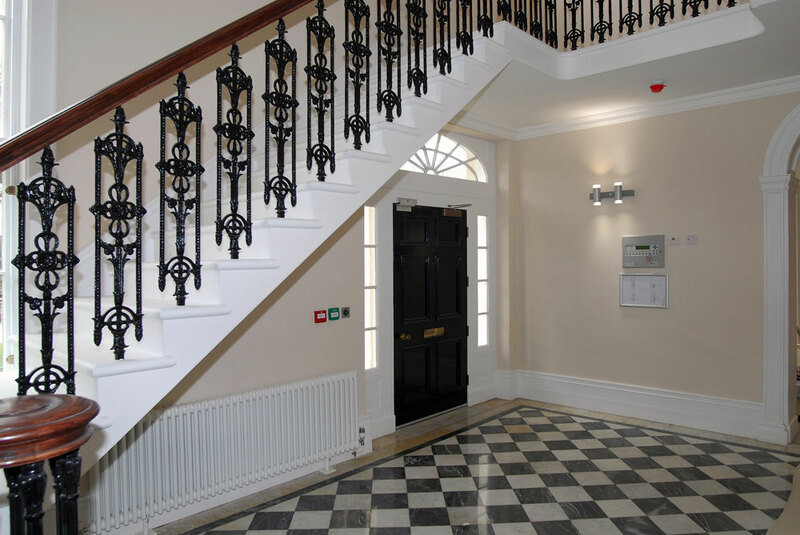 The scheme comprised repairs to the hall, conservation of the remaining historic plasterwork and creation of eight bespoke flats. 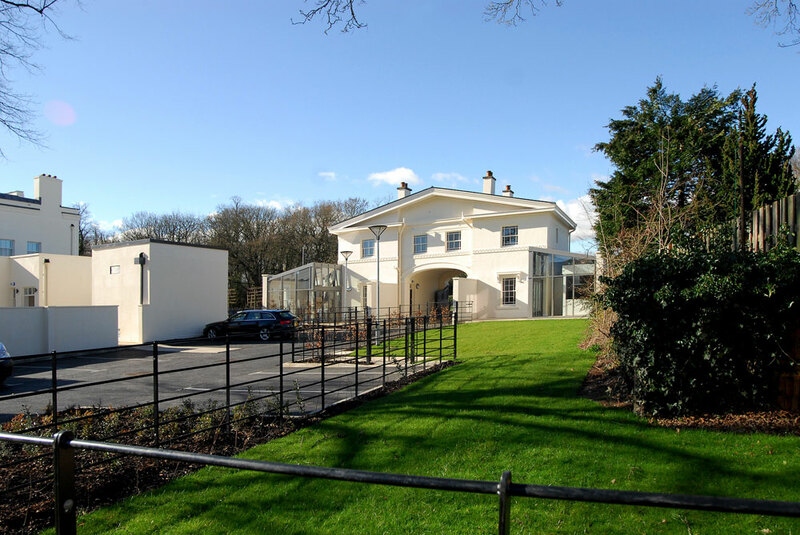 The gatehouse has also be repaired and extended to form two houses. 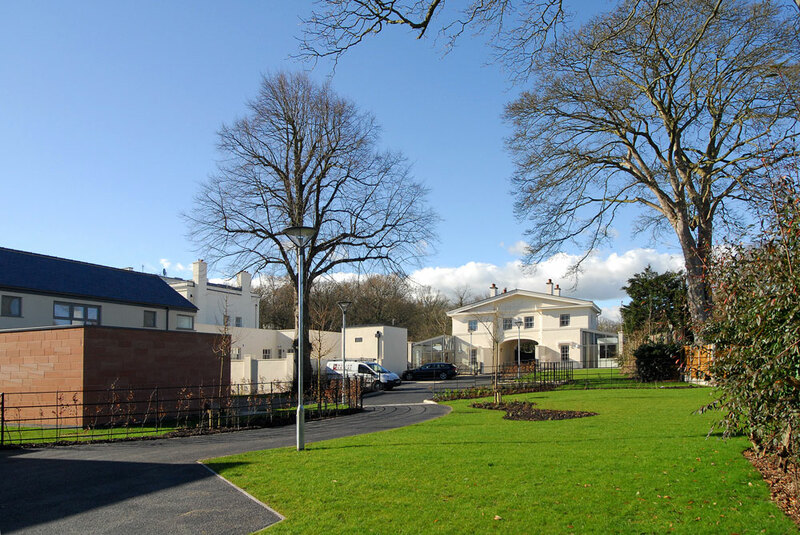 Perhaps the most difficult aspect of the scheme was the design of four new houses in the grounds. 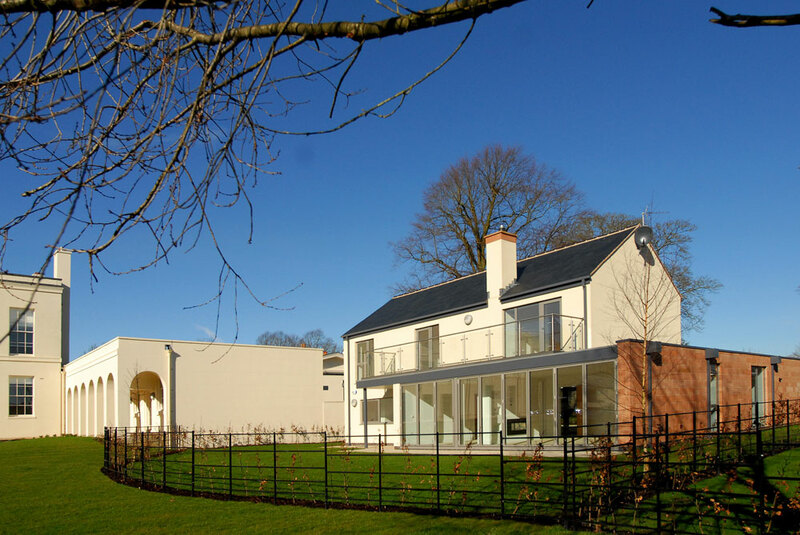 Our approach was to make them ‘modern’ in appearance and position them in such a way that the hall and the surrounding landscape are still the dominant features.